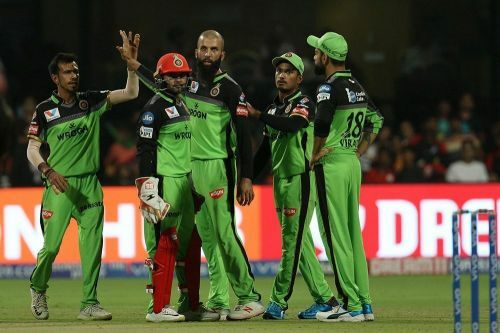 After opening their victory account on points table, Royal Challengers Bangalore will now aim to add more, when they go up against the Mumbai Indians in the 31st fixture of the IPL 2019 at the Wankhede Stadium on Monday, April 15. Head to Head Overall Stats: Both the teams have shared the province in 26 games, and the Mumbaikars have managed to trounce the Challengers in 17 games. Head to Head in Wankhede Stadium: The Mumbaikars have served the hosting duties on eight occasions and edges the visitors with five wins. 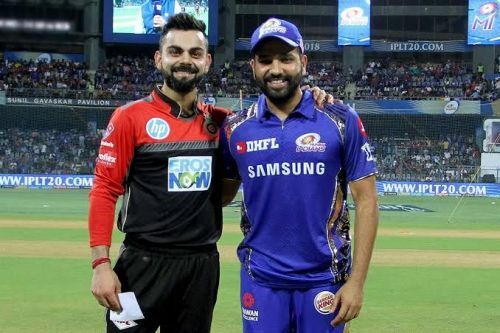 Previous IPL 2019 face-off: In their earlier clash on March 29, the Mumbai Indians secured a controversial six-run win. Batting first, Mumbai posted a giant 187/8 in their 20 overs. In reply, Bangalore seemed to be on course with Mr 360 unbeaten at 70, but that was MI's day, as Umpire failed to pick Malinga's no-ball towards the end, with RCB hopes diminishing at 181/5. Mumbai Indians winning run was halted by the Royals on Saturday and they would love to mark a strong return against the Challengers. Quinton de Kock is their key run-getter so far and is coming off an incredible 81 run knock against the Royals, while skipper Rohit Sharma played a 47-run knock and these two will be expected to play a similar innings against the Challengers. Kieron Pollard is going though ominous form, though he fell cheaply against the Royals but the power hitter will be eager to cover-up against the Bangalore. While Suryakumar Yadav and Hardik Pandya are the other contenders that can pose threat to the opponents. The bowling seems to be overly reliant on the services of Jasprit Bumrah; the bowler has taken eight wickets so far, but is missing the support from other end and from teams perspective, it will be essential that atleast one Rahul Chahar or Jason Behrendorff level up their game and tighten up the things from the other end. While Lasith Malinga is also likely to make his way into the playing XI after his return from Sri Lanka Provincial tournament and the pacer will be expected to provide instant dividends. Rohit Sharma (C), Quinton de Kock (W), Suryakumar Yadav, Siddhesh Lad, Rahul Chahar, Hardik Pandya, Krunal Pandya, Kieron Pollard, Jason Behrendorff, Lasith Malinga and Jasprit Bumrah. 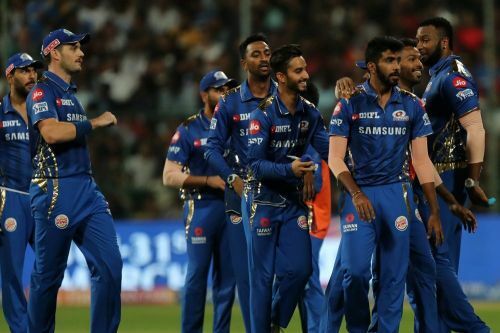 The Challengers finally managed to register their maiden win of the IPL 2019 after outclassing the Kings XI Punjab by eight wickets. The win should have boosted their confidence, and they would eye a repeat against the Mumbaikars. Virat Kohli (270 runs) is in flamboyant touch and his scores of 84, 41 and 67 in last three fixtures are enough to describe his form. While AB de Villiers is team's second highest run-getter with 232 runs and played a match defining role against the Kings and these two will be desperate for another match winning effort against the MI. Except for these two Marcus Stoinis and Parthiv Patel ate the other key batters in the lineup with the ability to turn the game on their own. Yuzvendra Chahal is season's third best bowler with 11 wickets, While Siraj has six scalps to his name and it will mostly depend on these two to provide crucial breakthroughs at regular intervals. Umesh Yadav has managed just two scalps so far, but his experience could be crucial in the death overs. Virat Kohli (C), Parthiv Patel (W), AB de Villiers, Moeen Ali, Marcus Stoinis, Akshdeep Nath, Pawan Negi, Mohammed Siraj, Navdeep Saini, Umesh Yadav and Yuzvendra Chahal.